Native Habitat Restoration has over 15 years of experience in managing invasive species. Our services include conservation planning, grant writing and administration, invasive species control, habitat restoration, and ecological monitoring. We provide services to private landowners, conservation organizations, towns, state and federal agencies. 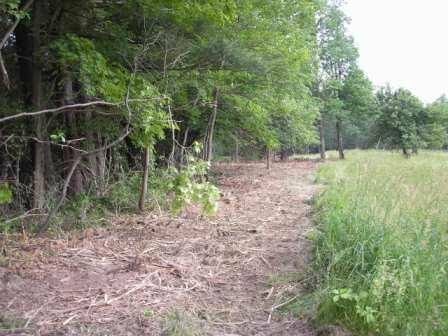 Invasive species along the edge of a field were cleared to allow for native habitat to grow.